Looking to make something special for your family this Sunday night? This chicken stir fry is a perfect dinner dish that the whole family can enjoy! This week, our kitchen vocabulary word is marinated. A marinade is what food is soaked in before cooking. In the medium sized bowl, add ⅔ cups soy sauce. 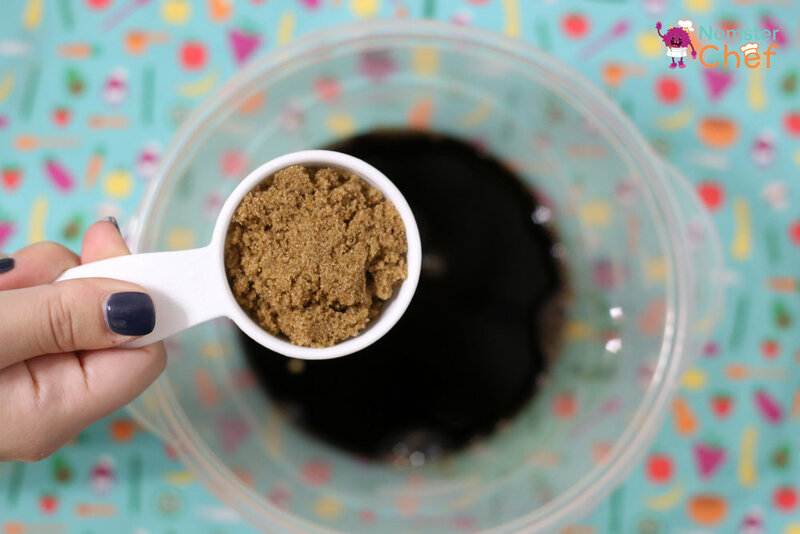 Add ¼ cup of brown sugar. Add 1 Tablespoon of corn starch to the mix. Grate 1 Tablespoon of ginger and put in the bowl with the soy sauce. Take 2 cloves of garlic and peel. 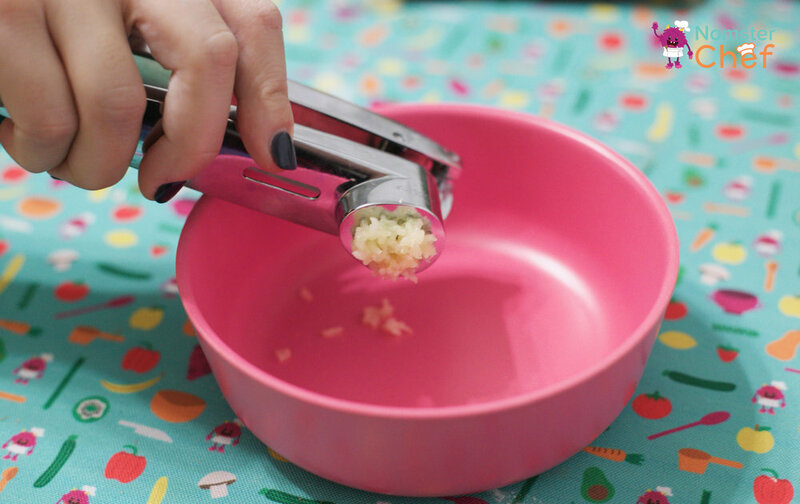 Once peeled, place the glove of garlic in the garlic press and mince. Press another clove if you need more than one Tablespoon. Add 1 Tablespoon of minced garlic to the soy sauce. Mix all the ingredients together and stir until smooth. Place the three thinly sliced chicken breasts in the marinade. Using the spatula, coat the chicken with the marinade on all sides. ** Grown-up ** cut the chicken into strips and put the marinated chicken in the fridge for 15 minutes. Because the chicken is soaking in the marinade, it will soak in all of the flavor from the sauce. ** Grown-up step ** Cut the top off of the bell pepper and into big chunks. Kid chef, using the kid chef knife cut the red bell pepper into matchsticks. ** Grown-up step ** Cut the stem off the broccoli. Kid chef, use your hands to break away broccoli florets from the head. Open water chestnuts with can opener and drain. Place the skillet on the stove. Kid chef, measure out 1 Tablespoon of sesame oil and place in the pan. Then, add the pepper, broccoli and water chestnuts to the skillet and stir to coat the vegetables with the marinade. ** Grown-up step ** set the stove to medium-high and cook the vegetables until tender. This should take around 5 minutes. Kid chef, take the marinated chicken out of the refrigerator. ** Grown-up step ** Take the vegetables off the stove and place into a bowl. Then, take the marinated chicken and place in the same skillet used to cook the vegetables. 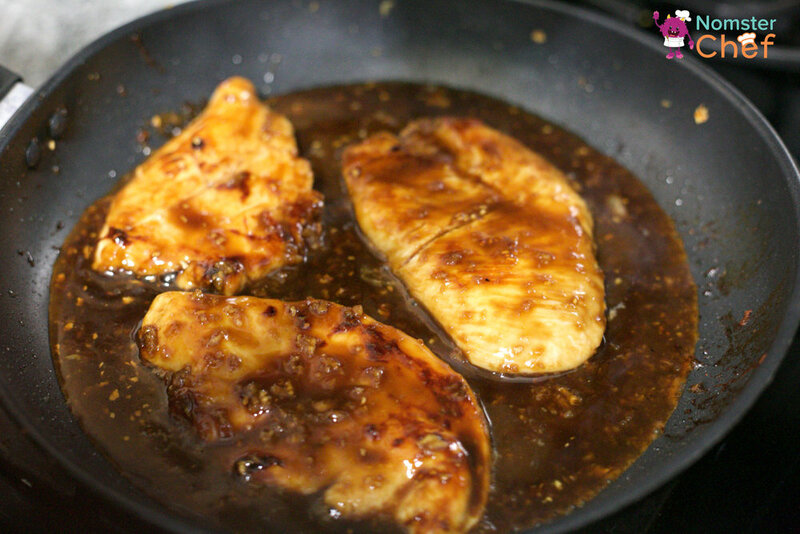 Pour the excess marinade into the skillet with the chicken. Cook the chicken until white on the inside. 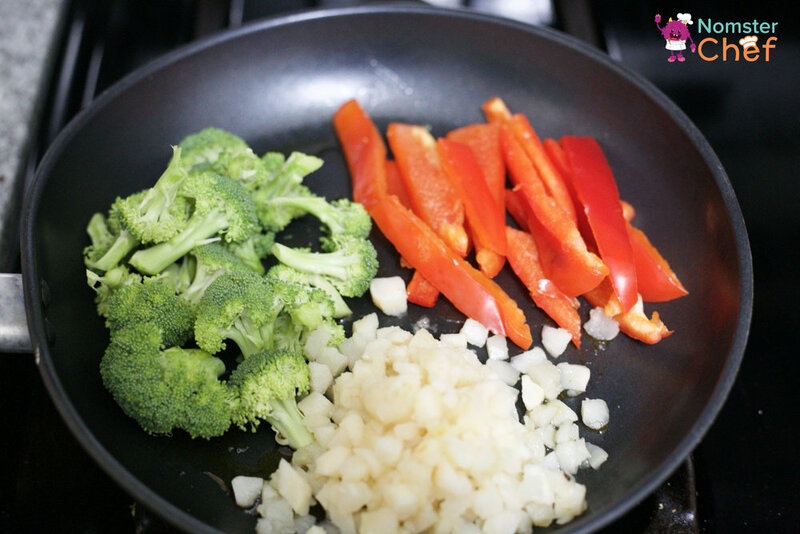 ** Grown-up **, add the vegetables into the skillet. Cook until chicken is done. Once finished, use a spatula to transfer the chicken and vegetables onto a plate for serving! If you buy regular chicken breasts, put them in a freezer bag and pound them. For more on cooking on the stove top with your kid chef, check out our 4 tips to use the oven safely with your child!